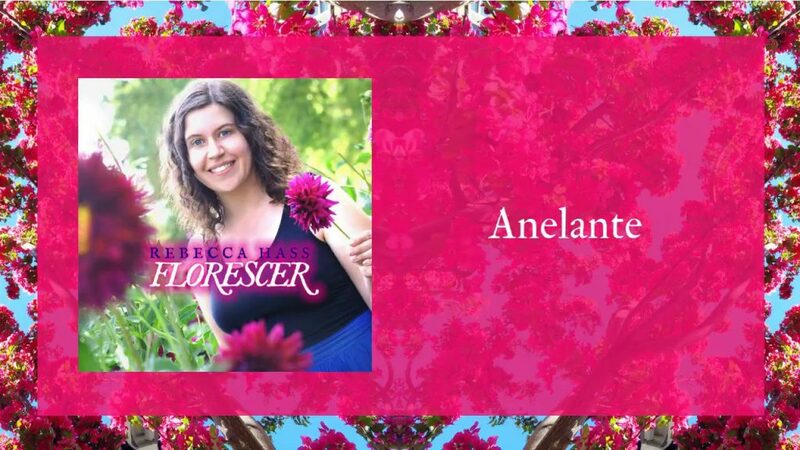 “Florescer” is the debut album of Minnesotan pianist and composer, Rebecca Hass. Following a successful Kickstarter pre-order campaign, and with support from the McKnight Foundation, this eleven track Brazilian piano album contains everything from traditional Brazilian songs (such as the Choro, Samba, and Maracatu) to songs inspired by influences as diverse as Hermeto Pascoal, Ernesto Nazareth, and Debussy. “Florescer” is a great addition to the jazz and latin repertoire, and is sure get you onto your feet and dancing around the room. Originally, the songs on “Florescer” were conceived of as solo piano pieces, which is why the album as a whole is largely centered around the piano. Haas has a very improvisational approach to composition on this album, which allows different elements of the piano (such as the melody, accompaniment, and bassline) to jump in and out of the foreground rather than just allowing the melody to take control over each song. This approach is partly a consequence of Hass’ familiarity with Brazilian rhythms and background in Brazilian percussion, which she received from joining percussion group Batucada do Norte in 2006. Her many years as a percussionist undoubtedly informed her writing for piano on this album, and gave her a natural intuition for Brazilian articulation, rhythm, and phrasing. One of the nice contrasts within this piano album is the augmented percussion created by Tim O’Keefe, an expert in hand-drumming styles from around the world and who has shared the stage with Simon Shaheen, Georges Lammam, and the Rose Ensemble, among others. The percussion adds a nice balance to the piano, and at times make the album appear to be a piano percussion duo, sometimes having soloistic moments (Samba De Orly), but overall laying a nice foundation. Not only does the non-pitched percussion (mostly shaker and hand-drums) contribute to the overall groove and style of “Florescer”, but also appearances from the marimba play a more melodic role and add a nice timbral contrast to the piano, such as on Gingando and Brincalhao. A few of the tracks on this album purposefully stray from the traditional conventions of their native style. For example, Anelante, the Brazilian choro serenata is colored with compositional techniques pioneered by Claude Debussy. It is very chromatic, and at times even uses fragments of the whole-tone scale to create harmonic ambiguity. Parallel harmony is heard at select moments throughout this track as well, which is a technique Debussy was quite fond of. This serenade is led by a violin playing the melody, with the piano serving an accompanimental role. Also, Tico-Tico No Fuba combines different Brazilian rhythms, such as the samba and Baiao, to reinvigorate this classic tune. These combinations create new and interesting grooves and syncopations, and allow the repetitive nature of the melody to sound like it is constantly being changed or accented in a variety of different ways. The music of “Florescer” is both exciting and beautiful, and is as thoughtful as it is clever and original. Haas has certainly created an attractive, infectious Brazilian piano album; one that will be a pleasant listening experience for all, one that will remind us why we love music, and one that will make us fall in love all over again.